Cleaning Products | View our catalogue products | SiliconBlue Corporation Ltd.
Special cleaner for screens, glass and plastic surfaces. Packaging content: 250 ml pump spray bottle. 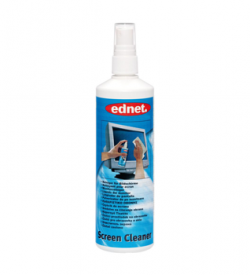 Special cleaning spray for stripe and streak-free cleaning of sensitive TFT/LCD, laptop and flat panel. 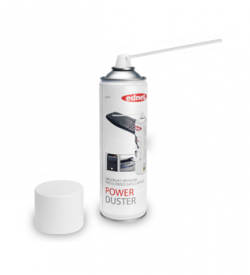 Removes nicotine, dust and fingerprints containing antistatic new reduced dusting. Non-smearing, non-flammable. Package conent: 1 bottle with 250ml cleaner. 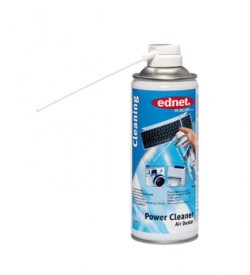 Eliminate dust and dirt now with even more pressure, The Ednet Power Duster is suitable for cleaning of inaccessible places in computer and office equipment such as Computer keyboards, CD-ROMs, floppy drives, copiers, fax, etc. The increased pressure can remove dust particles or other dirt more effectively. 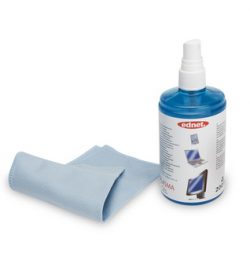 Special cleaning gel for TFT/LCD, plasma flat screens, laptops and other anti-glare filters. Dependably removes dust, dirt and grease. Content: 200 ml cleaning gel and microfiber cloth. 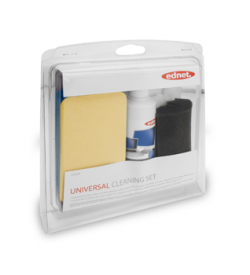 Sensitive cleaner with microfibre cloth, For a perfect shine on display surfaces. 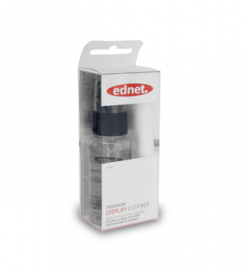 The ednet Display Cleaning Set is best suited for cleaning smartphones, tablets, monitors, and other screen surfaces. Simply spray the cleaning spray onto the desired surface and wipe it away using the included microfiber cloth. Fingerprints, dust, and dirt are effectively removed and the spray prevents static charge.